Many of our plants that form part of our luxuriant flora have revealed their secrets for healing to our ancestors. Tony Mathiot, on behalf of the National Heritage Research and Protection Section, tells us about some of them which our great grandparents used to cure fever. We live today in an age where there is a pill, a medicine, a drug for every illness. The chemist’s shelves are loaded with an overwhelming variety of tablets, capsules and elixirs. We swallow these according to their prescribed doses with the assurance that we are going to feel better – because it seems that we have become obsessed with those pharmaceutical products. Few of us would deny the immense relief from pain and suffering which some of these provide but many of us question the efficacy of most of these medicines for the obvious reason: we don’t feel better! – even after a month long daily dose of sustained-release tablets for fever.. Why? Old Papa Polixene told me this, one day last year when I visited him at his cottage in the mountainous forests of Baie Lazare. He is among the very few of our Seychellois sages left. His knowledge of herbal medicine is absolutely staggering. His recipes would fill a 1,000-page tome. Besides being surrounded by cinnamon scrubland, coconut palms and various fruit trees which “have medicinal properties that can bring relief to various ailments”, old Papa Polixene has cultivated a backyard garden of medicinal plants that has now become a veritable, excuse the oxymoron, natural pharmacy! At 87 years old, he swears that he has never swallowed an Aspirin or a Paracetamol. I believe him. Every time he imparts a little bit of our cultural heritage to me, I notice and enjoy the subtle arrogance of his assurance. The wisdom of his years may justify his somewhat overweening disposition. I’m so very okay with that. After all, he has enriched me with certain knowledge which cannot be acquired from the hallowed pages of a book. At the time that I visited him, the Seychelles Broadcasting Corporation (SBC) had just announced yet another outbreak of Dengue fever in our island, another fearsomely infectious virulent tropical disease transmitted by mosquitoes which are virtually ubiquitous here. “In Africa we call it Kidingo,” he told me, having spent two decades of his life on tea plantations in Tanzania. “Hundreds of people have died of it,” he assured me. Ever since the end of the First World War (1914-1918) there has been recurrences of Dengue fever in Seychelles including the epidemic of 1977 when more than half the then population of 58,000 inhabitants was infected. “You see this,” he said, fondling the leaves of a Bwa Merl (Wild gouyava) tree. 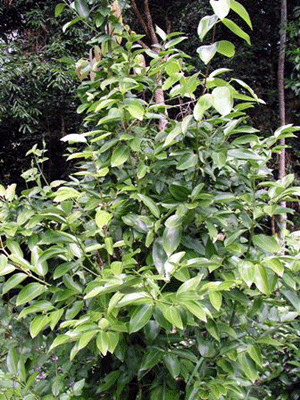 “A decoction of the leaves is effective, very effective for the treatment of fever.” Evidently, the old man had personally experienced the febrifuge virtues of the endemic tree which owes its name to the fact that its fruits are a favourite source of food for Merl (Seychelles Bulbul)…and school children of the 1960s. “And that”, he said, painting at a sprawling shrub of Vyey Fiy (Red Sage) growing near his hencoop “is excellent as well. The flowers are infused and used as a bath for fever”. I remember when little girls loved threading flowers of Vyey Fiy to make pretty necklaces. Now I know that these flowers of Vyey Fiy can bring precious relief to little girls who are sick with fever. As a matter of fact, since aspirin, which is commonly prescribed for the treatment of fever, should not be given to children, a medicinal or herbal bath is highly recommendable. They are an effective alternative also for adults who have peptic ulcers, moreover, the health market has become such a lucrative business that it would be legitimate to assume that half percent of the profusion of medicines that are available over-the-counter and by prescription are pharmacologically ineffective. “But with plants”, old Pa Polixene said “as sure as today was yesterday’s tomorrow, you will definitely feel a measure of relief. You will not get well right away, of course, but you will gradually start feeling better”. It is advisable that you have a herbal bath on every alternate day if you have fever. There are certain baths that are effective when two or even three different kind of leaves are used together in a decoction. Coconut oil can be added in all baths. 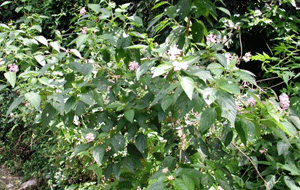 There are exceptions when, instead of the leaves, a decoction of the bark is used to relieve fever. 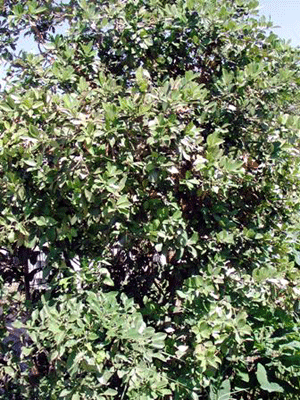 An example is Benzwen (Benjoin) endemic to Reunion and Mauritius, where it is valued for its medicinal properties in the treatment of bronchitis and dysentery. 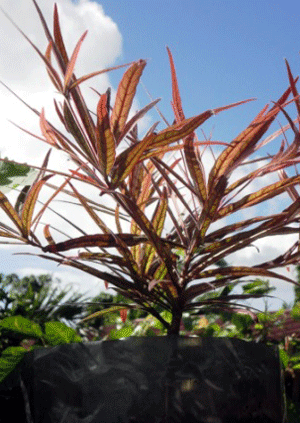 The plant was introduced to Seychelles by the French settlers of the early 19th century. Our ancestors discovered its power in alleviating the symptoms of fever and influenza and ever since then, Benzwen has been considered as one of the most valuable medicinal plants to have around the home. Anyone who is familiar with the scent of cinnamon would not doubt its febrifuge virtues. It is the aroma of nature’s sublimity which betrays the medically active chemical in the plant. Another popular botanical remedy for fever is Eucalyptus which grows wild in most of our mountainous forests. In Seychelles, the leaves are used in a therapeutic bath. Elsewhere, in many European countries, the distilled oil which is believed to have anti-malarial properties is taken internally for the treatment of scarlet fever and typhoid fever. It has proven to be excellently effective against intermittent fevers, the likes of which occasionally make us bed ridden. It was in 1788 that the English settlers discovered the eucalyptus tree growing in Australia. In the mid-19th century, (Baron) Sir Ferdinand Jakob Heinrich von Mueller (1825-1896), director of the Botanical garden of Sydney, sent seeds to Europe – where medical research proved that Eucalyptus oil taken internally, could heal pulmonary tuberculosis and bronchitis. Old Pa Polixene told me that when ‘Prempeh people’ were in Seychelles (1900-1924) they treated fever with a decoction of Zanmalak (Rose apple) leaves and according to them, it was fabulously effective. Inhabitants from the Gold Coast (Ghana) would not have known about the medicinal power of cinnamon, a plant which was completely alien to them, and of which they have never had a use for. Therefore, those African exiles must have certainly contributed to enrich our knowledge of herbal medicine. Theirs was a ‘fruitful’ attempt to find a remedy for fever. Since herbs are organic substances and non synthetic molecules, they possess an affinity for the human organism. One can ‘experiment’ with medicinal plants without the risk of having any side effects, which cannot be said of pharmaceutical drugs. 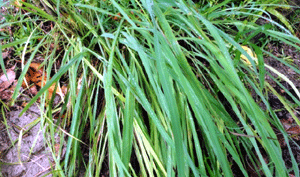 I know folks who, when in a desperate need to find an antipyretic remedy did not hesitate to make trials of various plants – and a bath of a decoction of Sitronnel leaves (Lemon grass) with an appropriate measure of coconut oil added to it proved marvelously great for restoring a modicum of strength and well-being. Well, most of us can ‘conjure up’ the anodyne sensation of a warm coconut oil flavoured sitronnel bath! Positively uplifting, aromatic and invigorating. I suppose it must have been during the first three decades of the 20th century when our country experienced chronic outbreaks of Dengue fever, Spanish fever and a few negligible cases of imported malaria that our plant kingdom was tested with and exploited for its curative of alleviative properties of course. Knowledge of herbal remedies has also been learnt from other islands of the Indian Ocean where some plants similar to ours grow. Nowadays, fortunately for us we do not have to search feverishlyfor a remedy. We have a choice between modern pharmacy and traditional medicine. At least, a rudimentary knowledge of our herbal remedies could be of great help in the mitigation of that wretched fever. But always bear in mind, a fever is not an illness in itself, it is the symptom of an illness – and here in Seychelles, we can opt for a dubious dose of some pharmaceutical drug or we can rely on the virtues of a warm medicinal bath of cinnamon and sitron together with coconut oil.